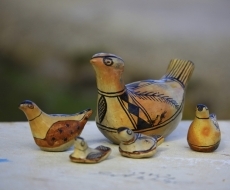 In Kerkouane in the northeast, wander through the streets of a small Carthaginian city. Cross the threshold of the houses protected by the “sign of Tanit”, imagine the columned patios and the ceremonies that would have taken place in the temple… The buildings have long since disappeared, but the plan of the city still remains. A touch of imagination is all that’s missing to relive the everyday lives of the inhabitants in the time of Carthage, and the location, facing the sea, is sublime. In Oudhna, close to Tunis, walk through the stands of the 16,000 seat amphitheater; one of the largest Roman amphitheatres in Africa and second only to the famous El Jem Colosseum. Explore the mysterious vaulted halls holding up a monumental staircase: climb it to find yourself at the base of a giant capitol building of which only a few columns remain. You are at the heart of a rich Roman colony, surrounded by fields. In the southeast, the archaeological sites of Sbeïtla and Haïdra show Tunisia’s Christian and Byzantine history respectively. Imposing ruins of a Roman capitol, churches, basilicas and fortresses still remain there. But, the most spectacular site is without a doubt Dougga. See an entire city emerging from the olive trees with an impeccably preserved capitol, a large theatre, paved streets and countless ruins. 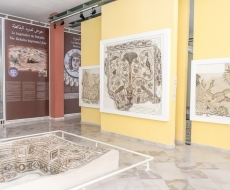 18 Tunisian archaeological sites in all are open to the public and illustrate the golden ages of ancient Tunisia: the civilization of Carthage, the Roman empire and then the Byzantine empire. List of archaeological sites and useful information. Spend some time in the city centre of Tunis: the beautiful facades will plunge you back into the Tunis of 1900, to the time of the French Protectorate (1881-1956). The diversity of architectural styles is a reflection of the many trends and events of the era. In certain streets, you will see rows of smoothly curved balconies, windows in the form of fish, exuberant decorative elements inspired by the botanical world… the Art Nouveau style. On Avenue Bourguiba, the Municipal Theatre is considered a magnificent example. Elsewhere, other buildings show Art Deco influences. Conversely, in the Kasbah district above the medina, many official buildings borrow elements from Moorish architecture: domes, crenellations, horseshoe arches. This original style is known as Arabisance. Recently enlarged and entirely renovated, the Bardo Museum invites you into its vast and airy halls. Your steps will take you first in the direction of an immense Roman mosaic, then onwards to Carthaginian statues, Greek works of art… and one of the treasures of the museum, a mosaic showing the only known portrait of the Latin poet Virgil. Then, unconsciously, you will find yourself in the oldest section of the museum: the richly decorated former palace of the sovereigns of Tunis. 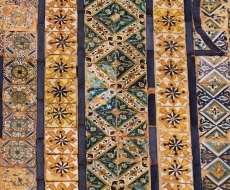 A formidable collection of antique mosaics can be found here, one of the most important in the world. Scenes of hunts or of toil in the fields, portraits of Ulysses or of the god Neptune… all the everyday and imaginative life of the Roman world stretches out before your eyes. This museum is one of the most important of the Mediterranean basin. It also contains prehistoric objects, Roman pottery, Arabic astrolabes, scenes in ceramics from the Ottoman era… an extremely rich destination that traces the entire history of the country. Tunisia is considered a pioneer of Arab theatre and cinema. It had its first modern painters as early as the 1920s. Even today, young Tunisian artists are completely in sync with current movements, whether they are dancers, cinematographers, musicians or visual artists. Tunis and the nearby areas (in Sidi Bou Saïd, Carthage ou la Marsa) are by far the best spots to check out their numerous art galleries, see Tunisian films or attend modern performances. Tunisia is equally welcoming to art from all over the world. For the “Dream City” biennial, in november, the entire medina of Tunis moves to the rhythm of performances and installations from both Tunisian and international creators. The E-Fest festival is another artistic gathering in the capital, focusing on electronic musical and the digital arts. Even at the heart of the island of Djerba, you can visit a stunning place: the Djerbahood village, the ephemeral international capital of street art. Fresco, graffiti, “calligraffiti”... surprises wait for you around every corner. In the small village of Sejnane, admire the dexterity of the potters: with only rudimentary tools they can create a great variety of objects (dishes, bowls, terracotta figurines) and use natural dyes to decorate them with Berber patterns. In Kairouan, watch the women working on hand knotted carpets and see the most complex patterns blossom right under your eyes. In Mahdia, step into a weaver’s workshop: you will see brilliant fabrics being created from silk and gold thread. 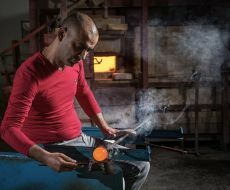 Nabeul is a great centre for handicrafts; head to the Artisanal Village to an ironworker, a weaver of rush mats, or a chiseler of copper dishes at work… In Djerba, you can also watch how silver jewellery is enamelled with a blowtorch. The medina of Tunis also shelters numerous craftsmen: weavers, coppersmiths, makers of chechias (the typical Tunisian red felt hat). The pretty street of the Andalusians, in the medina of Tunis, certainly deserves its name: this is where the Spanish Muslim refugees who fled the advancement of the Christians in the Middle Ages settled. 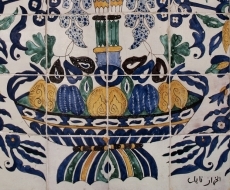 Not far from here, visit the mausoleum of Sidi Qacem Jellizi, a master ceramist of Andalusian origin, where ancient ceramics are exhibited; many are close in style to the Spanish ceramics of the Renaissance. Many Andalusians would settle in Tunisia in the 17th century and would bring typical Spanish customs with them. In the town of Testour, you can still see mosques that bear a close resemblance to the churches of Aragon. To finish off your Andalusian circuit, attend a Malouf concert: this Tunisian musical genre has Andalusian roots. A dive into the early Middle Ages will bring you to the region of Sousse, Kairouan, Monastir and Mahdia. The high ramparts of the medina of Sousse, its fortresses, its stunningly sober mosque date from the 9th century. At this time, Sousse was a military port and Kairouan, the great capital of the Aghlabid emirate. The city extended around its famous mosque, one of the oldest in the world. It was equipped with hydraulics that were exceptional for the era; from these the great reservoirs known as the Aghlabid Basins still remain. A string of small forts (the ribats) guarded the coast. The ribat of Monastir, enlarged thoughout the centuries, has become an imposing fortress whose high tower overlooks the sea. 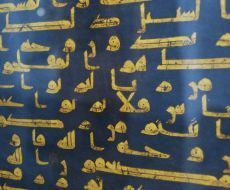 After the Aghlabid emirs, a new dynasty was born in Tunisia before going on to achieve great feats: the Fatimid caliphs. These would effectively reign over Egypt and Syria. First, however, they built themselves a princely city in Mahdia;the monumental gate, the Skifa Kahla, can still be seen along with the mosque of the first capital of the Fatimids. Step into a beautiful dwelling in the medina of Tunis or into the mausoleum of a Sufi saint: you will certainly see a profusion of examples of traditional decor. On the walls, multicoloured ceramic panels. On the ceiling, arabesques of sculpted plaster. Visit the museums of Arts and Folk Traditions: there you will discover all the diversity and refinement of the ceremonial dress of ages past. The women’s outfits are all different depending on the region: here a long tunic, elsewhere a fitted bolero or draped garment… Often richly embroidered with sequins and gold thread, these outfits are still worn for weddings where they brighten the occasions with their shimmering colours. Kairouan's carpets are the most reputed in Tunisia. In the sanctuary of Sidi Sahbi, the saint's tomb is surrounded by beautiful examples of traditional carpets: All young Kairouanese girls are initiated into the art of carpet weaving and tradition dictates that their first work be offered to Sidi Sahbi.